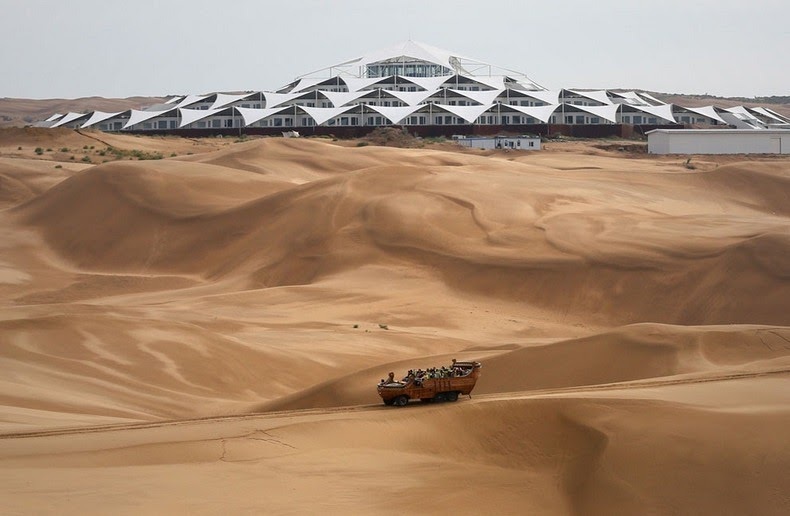 A magnificent new hotel has bloomed amid the vast sea of sands in Xiangshawan Desert, Inner Mongolia, 800 kilometers west to Beijing. 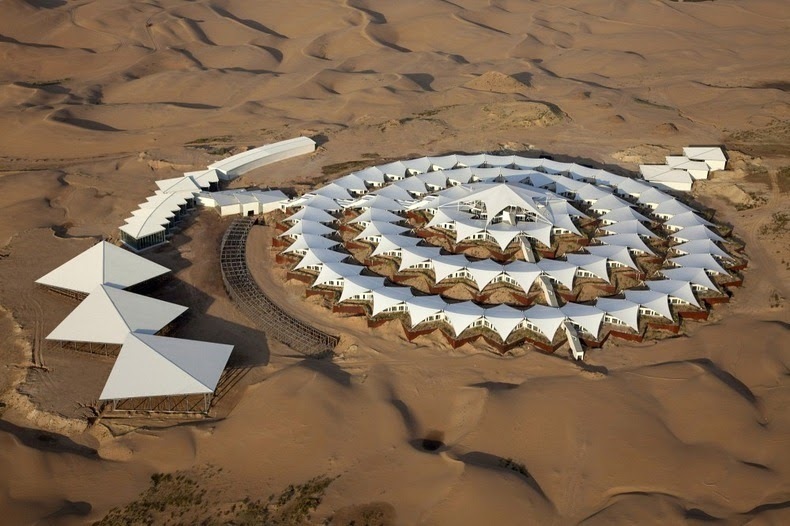 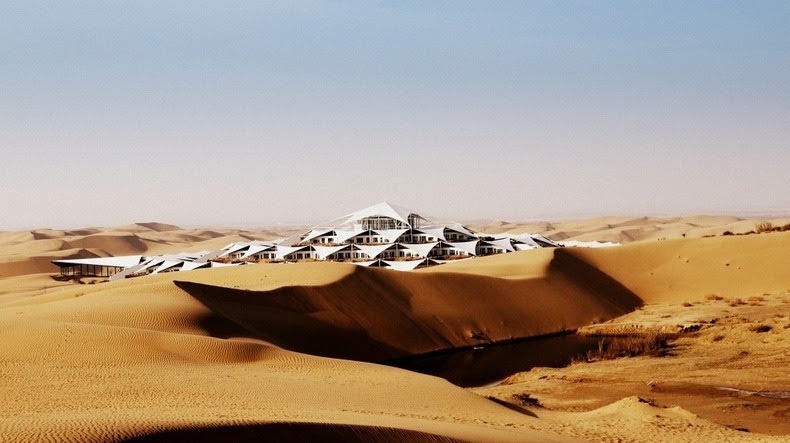 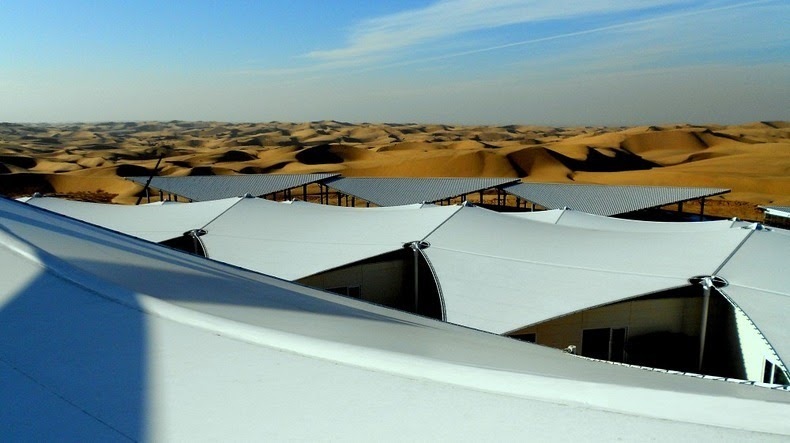 Named the “Desert Lotus Hotel”, the structure consist of repeating triangular white tent tops, rotated 45 degrees and connected together in a circular formation like a lotus. 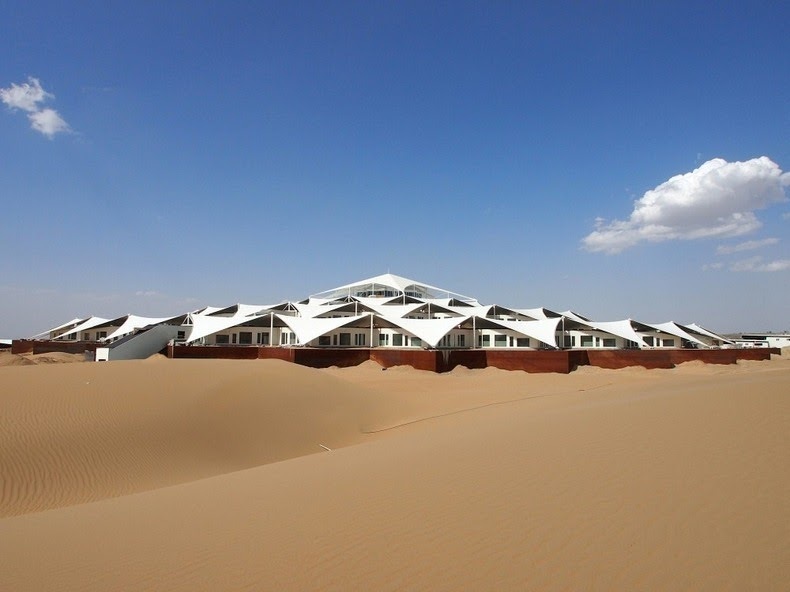 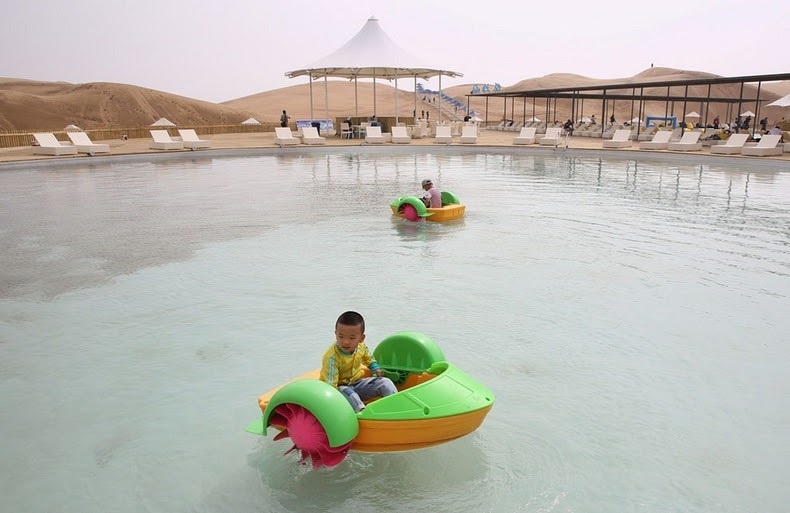 Free of tiles and bricks for construction, the resort is built with low carbon environment friendly materials to utilize solar, water and wind energy in the desert, reducing environmental pollution and strengthening ecology protection.